Here is another lovely piece of work by Trunk’s directing duo Sebas&Clim. The Brand Shop, an advertising agency based in Rome, commissioned the guys to create a story detailing the agencies marketing abilities. They wanted to represent these skills in a friendly and relatable way. Sebas &Clim decided to represent the agency as a pâtissière with the client as a cupcake, which has lost market share. 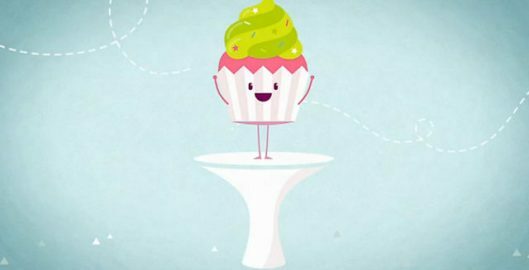 The cupcake has a discussion with the pâtissière who distils their ideas and continuing with the baking metaphor cooks up a successful campaign. Using the baking theme throughout enables The Brand Shops marketing concept to be clearly communicated with out being dry or stuffy. A pastel palette and wonderful sound design by Flow Audio echoes the friendly feel of the short.